Manchester City have never bid for Kylian Mbappe and have no interest in challenging Real Madrid for the France striker, Press Association Sport understands. 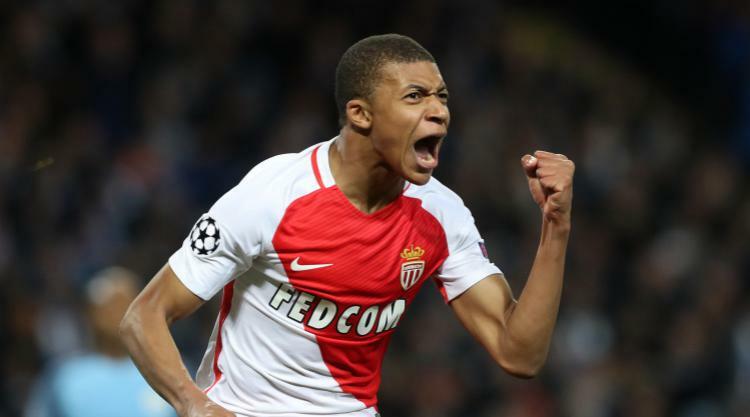 The 18-year-old Monaco forward, who soared to prominence last season with 26 goals in all competitions for the Ligue 1 champions, is reportedly close to a world-record move to the Spanish giants. A transfer fee of £161million has been mooted, dwarfing the £89million Manchester United paid for Paul Pogba last summer, meaning only a tiny number of clubs could afford Mbappe. City are among that elite band but, despite reports the contrary, it is understood they have not offered for the player and have no intention of doing so. Bernardo Silva and Benjamin Mendy have already swapped the principality for the Etihad Stadium this summer, in deals worth a combined £92million, but Mbappe will not be joining his former team-mates in Manchester. Real, meanwhile, sold Alvaro Morata to Chelsea for £60million so have both a vacancy and available funds. Manager Zinedine Zidane recently said of Mbappe “he’s a good player who a lot of clubs are interested in” while also suggesting the club were “lacking a striker” following Morata’s departure. Monaco last week threatened to report “important” European clubs to FIFA for making contact with star striker Mbappe without their consent. A Monaco statement read: “AS Monaco state with regret that ‘important’ European football clubs have made contacts with Kylian Mbappe (and his entourage) without authorisation from the club. “AS Monaco want to remind these clubs that such actions are contrary to article 211 of the administrative regulation of the French Football League and to article 18.3 of FIFA’s regulation of the status and the transfer of players.